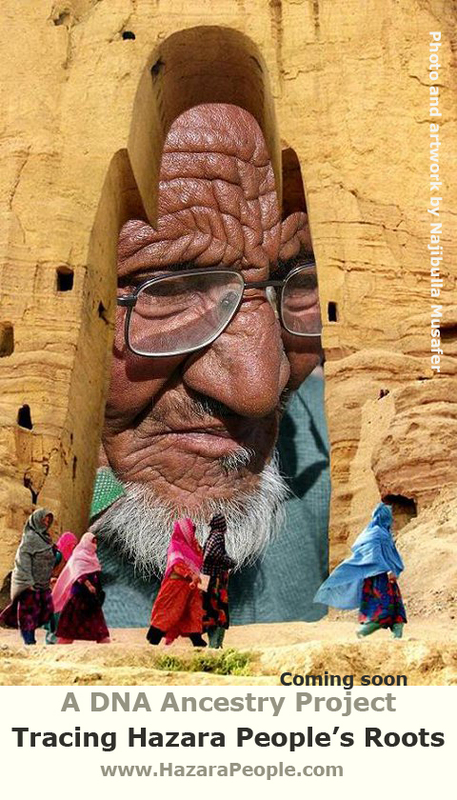 Nestled along the eastern and western foothills of the mountains surrounding the Pakistani city of Quetta are the enclaves of Mariabad and Hazara Town, inhabited mainly by ethnic Hazaras. Once a vibrant community known locally for its hard work and dedication to education, it is now marked by a sense of desperation and despair. For years, this ethnic and religious minority has been the quiet target of sectarian attacks by a Sunni militant group with close links to al Qaeda. When U.S. troops killed Osama bin Laden in May this year, they were among the first victims of revenge attacks. 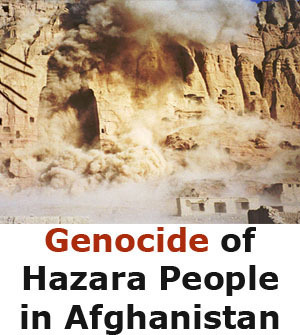 The Hazaras have been singled out and targeted repeatedly over the past few years by the banned sectarian outfit known as Lashkar-e- Jhangvi (LeJ). Nobody has kept count of their victims, but the number floating around is 500 killed, about 100 of them this year alone. Community leaders, businessmen, pilgrims, worshippers, day laborers, miners and mourners visiting the graves of their loved ones have all been targeted. 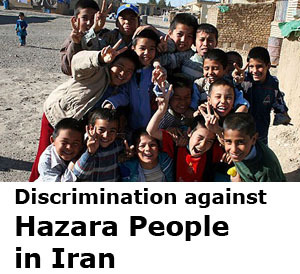 About 20% of Pakistan’s 180 million population is Shia, and a very tiny fraction of them are Hazaras. Yet they have borne the absolute brunt of sectarian attacks in recent years. The attacks in Quetta have received the most attention, but the Hazara community in Karachi has also been targeted on several occasions. 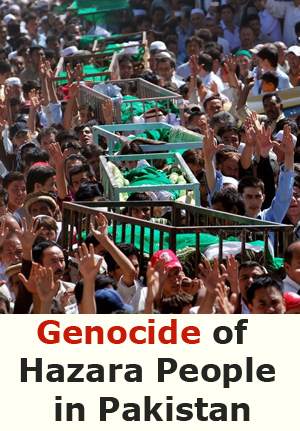 While sectarian violence by its very nature is discriminatory, the attackers in Quetta have gone the extra step: Buses are stopped and the Shia of Hazara ethnicity are identified, lined up and shot in cold blood. The attacks are unpredictable but deadly, and the attackers are always able to get away with it. Similar sectarian attacks in Pakistan generally escalate into a deadly cycle of mutual revenge, but the lessons of Gandhi and MLK have not been lost on this community. At a recent rally, a community leader called on the use of economic boycott to pressure the government to protect their lives. A shutter down strike was called, half of Quetta’s business remained closed and much of its public transportation system dragged to a halt for a day — all to no avail. Two days later, a group of coal miners was killed as they were returning to work after spending their weekend at home. But it was a watershed moment for this small ethnic minority in this corner of Pakistan. For the first time, they were able to use social media — mostly Facebook — to organize and project their desperate pleas for help worldwide. But three days after the protests, the terrorists stuck again. More than a dozen vegetable vendors and shopkeepers were singled out on a bus — the other passengers were let go – and sprayed with bullets. To be sure, the international day of protest was but one of the many demonstrations the community has staged. But over the years, as men and women have taken to the streets and chanted slogans outside the Quetta Press Club, the attacks have grown more frequent. A sampling of attacks in the past four months tells the whole story: About 35 pilgrims going to Iran have been killed in two separate attacks. Twenty vegetable vendors were killed in two separate incidents as they were on their way to the market. Several were killed when gunmen opened fire and shot rocket-propelled grenades at people visiting the graves of loved ones and at kids playing in the playground nearby. About a dozen were killed when a prayer congregation on the first day of the Muslim holiday of Eid was attacked. As a result of this bloodshed, no one in the community is safe; anyone could be attacked at anytime. There is a sense of desperate helplessness, of life reduced to a painful interval between two attacks. Tired and afraid. After a short respite since the attacks first began in 1999, they resumed in mid-2000s following the escape from a maximum-security jail of two LeJ operatives, Usman Saifullah and Shafiq-ur-Rehman, convicted of killing dozens of Shia Hazaras in Quetta. They melted into the dark of the night, leaving their jail cell empty and its lock broken when the guards checked on them the next morning. Threat letters appeared in the community earlier this year, promising a campaign to “rid Pakistan of this unclean people.” Although it was not the first such letter, it spread palpable fear of bloody reprisals among the population. 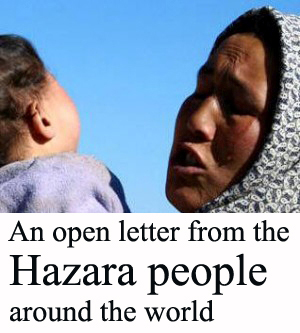 “The Hazaras we speak to regularly talk of rarely leaving their homes, rarely leaving their neighbourhoods, because they know that they’re being targeted,” said Amnesty International’s Mustafa Qadri. “Of the millions who live in Baluchistan, 40 dead in Mastung is not a big deal. I will send a truckload of tissue papers to the bereaved families,” said Aslam Raisani. 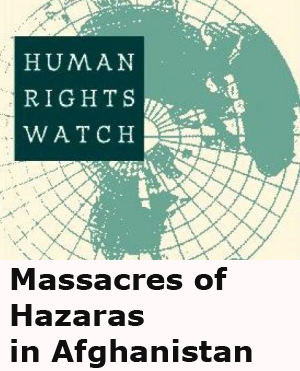 Routine targeted killings against the Hazara and other groups because of their ethnicity, religion or political affiliations raises serious questions about the will or ability of Pakistan security force [sic]to protect the people. 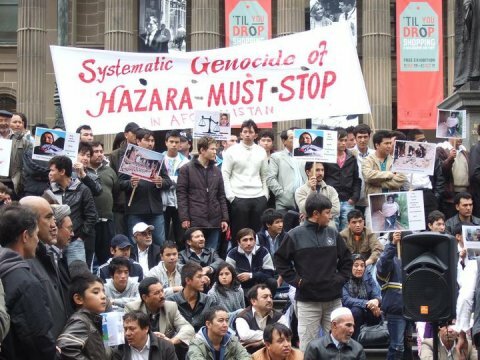 With their cries for help falling on deaf ears at home and abroad, an increasing number of young Hazara men are calling for an armed response. But against whom? It’s a faceless enemy that comes in twos and threes on motorbikes, makes its kill and disappears. This inability to do anything in the face of repeated attacks has contributed to a further sense of fear and frustration. The situation in the city has reached a boiling point. When a militant organization that is banned on paper kills hundreds of people on the streets and cripples and entire community with utter impunity, it is reasonable to ask whose side the government is on. And when the state fails in its basic duty to protect the lives of its citizens, it is not inconceivable that people who see their relatives and neighbors fall every day might take matters into their own hands. With the general breakdown in law and order in Quetta and the city’s proximity to the Afghan border, access to arms is not particularly difficult.